It has to do with two particular genes. The oldest known reference to citruses dates back to roughly 2200 B.C., when tributes of mandarins and pomelos wrapped in ornamental silks were presented to the imperial court of Yu the Great in China. More citruses are now grown than any other kind of fruit worldwide; for example, in 2014, people in the United States consumed roughly 35.6 kilograms of citrus fruit per person, according to the Agricultural Marketing Resource Center. Citruses are known for their acidity. The sour taste of a fruit depends on compartments within plant cells known as vacuoles, which are acidic because positively charged hydrogen ions (essentially, protons) get pumped into them. In most plant species, these vacuoles are only mildly acidic compared to the rest of the cell's innards. It was long a mystery how citrus vacuoles became extremely acidic. The new discovery regarding citruses began with distant relatives of citrus plants, the petunias. Husband-and-wife team Ronald Koes and Francesca Quattrocchio, molecular geneticists at the University of Amsterdam, and their colleagues found mutant versions of genes known as PH1 and PH5 could alter the color of the flowers by hyperacidifying their petals. "Petals with more acidic vacuoles are reddish; petals with less acidic vacuoles are bluish," Quattrocchio said. These genes produced molecules known as P-ATPases on the membranes of the vacuoles, increasing the number of protons that are pumped into the compartments. Versions of these genes are found not only widely across flowering plants, including species without colorful petals, but also in plants without flowers, such as conifers. (STOCK PHOTO/Getty Images) California lemons hang on a tree. The widespread nature of these acidity genes suggested they might play roles beyond flower color. This spurred the scientists to explore whether they might be responsible for the acidic taste of citruses. "We looked at the most acid plant we could think of, lemons," Koes said. The researchers investigated CitPH1 and CitPH5, the citrus versions of these petunia genes. 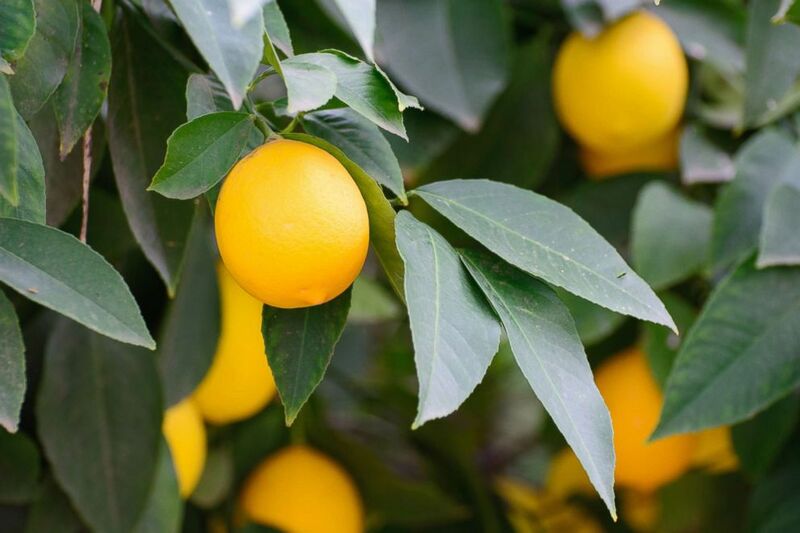 They found these genes were highly active in sour lemons, oranges, pomelos and rangpur limes, but much less active in sweet-tasting "acidless" varieties of citrus, such as Lima oranges and Millsweet limettas, due to a variety of hindering mutations. "People will see this work as a solution to a puzzle that was out there for quite a long time," Quattrocchio said. Previous attempts to isolate these proteins behind citrus acidity likely faced problems because these molecules are embedded inside membranes and therefore difficult to purify and analyze, Koes said. In addition, the complete pump is made of dozens of proteins, and it tends to fall apart during purification, he added. Moreover, the acid within citrus vacuoles would itself wreck many attempts to examine their membranes, said plant physiologist Lincoln Taiz at the University of California, Santa Cruz. "This is an exciting discovery -- it explains why the lemon fruit is able to hyperacidify the vacuole," said Taiz, who did not take part in this research. These findings could help speed up the breeding of new varieties of fruit, Koes said. By analyzing the DNA of young saplings, breeders may one day predict the sweetness or sourness of their fruit "many years before the trees set fruit that one could examine for acidity or taste in the conventional way," Koes explained. Such improved breeding is potentially not limited to citruses. "For example, the acidity of wine grapes could be varied to create different wine flavors," Taiz said. "Another application might be to vary the colors of flowers." In addition, there are hints these genes are linked to key parts of plant development. "We see them active in stem cells, and we have no clue why yet," said study lead author Pamela Strazzer, a molecular geneticist at the University of Amsterdam. The scientists detailed their findings online Feb. 26 in the journal Nature Communications.